Japanese e-commerce firm Rakuten, owner of website Play.com, has announced its intention to buy messaging app Viber for $900 million (£538 million, AU$996 million). 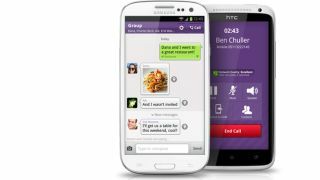 Cyprus-based Viber is one of the five most downloaded phone call and messaging apps on iOS and Android, counting the United States, Russia and Australia among its markets. The company also recently launched an instant messaging app for personal computers as a rival to Skype. Rakuten adds Viber to a growing list of purchases, including video-on-demand company Wuaki, streaming firm Viki and a meaty stake in online site Pinterest. In the last year Rakuten's operating profit jumped 80 per cent, a sixth consecutive year of record-breaking earnings. With the purchase, Rakuten's global user base will increase to 500 million dedicated IDs. The company earmarked the takeover as a key part of boosting digital content distribution across the globe. According to billionaire owner of Rakuten, Hiroshi Mikitani, Viber's messaging tech will be used for contacts within online stores for easy customer service. He said: "This acquisition will take Rakuten to a different level. Developing this system on our own would have been impossible."